The areas listed above are main areas of a hospital that must be fully operational 24 hours a day, 365 days of a year. Now, think if you will, of other lighting needs that a hospital may have. Emergency lighting to direct employees, patients and visitors safely out of the building in the event of an emergency. 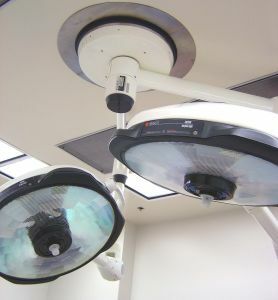 Hospitals cannot risk being in the dark for even a few minutes, therefore they are equipped with back-up lighting systems that kick in if there is a loss of power to the main source of light. The right supplier can save more than just money. Depending on the size of the hospital, the cost of providing proper lighting to all of these essential areas is significant. To reduce this expense and implement energy efficient and cost effective lighting solutions, the proper supplier must be brought on board. When a hospital works with the right supplier, they can slash their energy bill without sacrificing care and service to the individuals in their care. Of all the industries that rely on industrial and commercial lighting, the health care industry must take advantage of new technology to improve services provided and reduce costs that are eventually passed onto each and every person who has ever stepped foot inside of a hospital. With the right supplier these goals can be reached safely and with long term savings for all.